The Sumer Group was built on the foundation of the vision of its founder, The late Shri Sumermalji H Shah. A man who believed that people always come before business, and that good guys can finish first. A beacon of business acuity and a huge influence on Sumer leaders to follow, he believed in the motto: Always deliver what you promise. It is his integrity and honesty that has built Sumer into one of the most trusted realty names today. 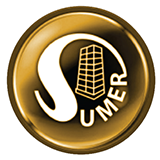 Sumer was established in 1965, with a vision to build landmarks where people can build the milestones of their lives. It is a vision that has seen us become one of the leading real estate developers based out of Mumbai. We have been involved in significant landmark projects across Mumbai, Alibaug, Indore, Pavana and Goa. With 30 million square feet of development under our belt, and a further 5 million square feet soon to be developed. Behind every Sumer project is a highly skilled and experienced team of Site Engineers, Contractors, Architects, Supervisors, Chartered Accountants and other domain experts. Together, they enable us to create spaces renowned for their modernity and premium standards. As a result, each project is built upon an unflinching commitment to perfection with no room for compromise.